August 2010 - So I can't remember now why I stopped hyperlinking the maps (although I would suspect being lazy had something to do with the decision! ), but I've gone ahead and cross-linked all the maps together again. On each map page is also a link to a printable version and a link to the Olwydd herb database information for that map area. I have linked all the creatures on the maps to the cooresponding Elanthipedia page, and will likely do the same with shops and NPC's as I get time. I'll also be posting some Ilithi updates once we see how the Inquisition event plays out. As of August 2009, all the map mana information was cleared off and replaced with a blank (white) box. If there is shading or an ‘X’ on the maps now, it is a mana level found in the updated power perception system. I have also started adding a small indicator on rooms that have a 'perc health' being in them. The herbs section contains information on locations to buy and forage herbs. I have also been spending 2009 updating the seasonal information, which can be viewed here. The alchemy section has my method of preparing foraged herbs for use along with tincture information and unusual recipe information. I've been updating the water location page as I find new sources while mapping. Also, I've been doing a more comprehensive check of the foraging items, looking for more accurate seasonal, day/night and item-specific factors. 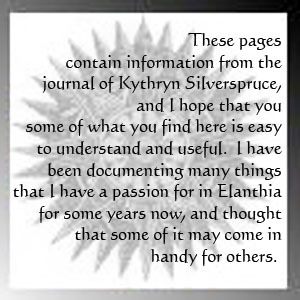 The misc section has links and anything else that doesn't fit under maps, herbs or alchemy, including Elanthian Flowers page. Simutronics® is a registered trademark and service mark of Simutronics Corporation, all rights reserved. 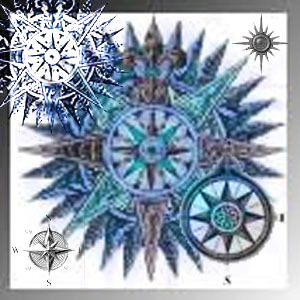 The DragonRealms T game is copyright © 1995-2010 Simutronics Corp. All rights reserved. DragonRealms T is a trademark of Simutronics Corp. All rights reserved.